As CEO of SpaceX, CEO of Tesla, and cofounder of OpenAI, Musk seems to be everywhere all at once, pushing all kinds of incredible new technologies. He's said he won't be happy until we've escaped Earth and colonized Mars. Between space rockets, electric cars, solar batteries, research into killer robots, and the billions he's made along the way, Musk is basically a real life Tony Stark — which is why they used him as reference for the "Iron Man." But it wasn't always easy for Elon Musk. Here's how he went from getting bullied in school to small-time entrepreneur to CEO of two major science-fictional companies...and how it almost made him go completely broke. His father Errol Musk, an electronics engineer, once said, “Elon has always been an introvert thinker. So where a lot of people would go to a great party and have a great time and drink and talk about all sorts of things like rugby or sport, you would find Elon had found the person’s library and was going through their books." Elon's mother Maye Musk, a Canadian national, is a professional dietitian and model who has appeared on boxes of Special K cereal and the cover of Time magazine. In 1979, Errol and Maye Musk divorced. The nine-year-old Musk and his younger brother Kimbal decided to live with his father. Still, Musk's school days weren't easy. As related in the book "Elon Musk: Tesla, SpaceX, and the Quest for a Fantastic Future," he was once hospitalized when a group of bullies threw him down the stairs and beat him until he blacked out. ...but he finished his studies at the University of Pennsylvania, taking home one degree each in physics and economics. 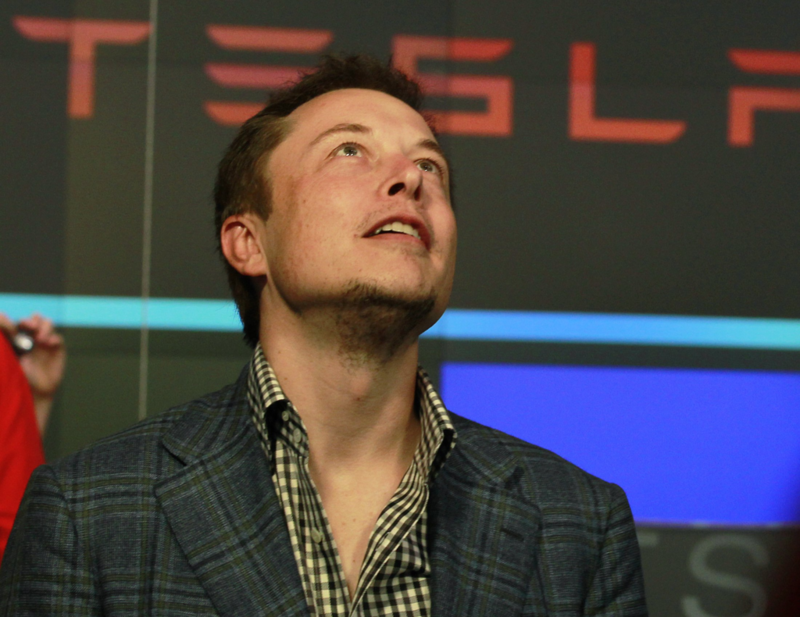 After graduation, Musk traveled to Stanford University to study for his PhD. But he ended up deferring his admission after only two days in California, deciding to test his luck in the just-beginning dot-com boom. He never returned to finish his studies at Stanford. Musk and his brother Kimbal (pictured) took $28,000 of their father's money started Zip2, a web startup that provided city travel guides to newspapers like the New York Times and Chicago Tribune. While Zip2 got off the ground, Musk once said that he literally lived in the office and showered at a local YMCA. It all paid off when Compaq bought Zip2 in a deal worth $341 million in cash and stock, making Musk $22 million. Using $10 million of the money he got from the sale of Zip2, Musk started X.com, an online banking company, in 1999. About a year later, X.com merged with Confinity, a money startup co-founded by Peter Thiel, to form a new company called PayPal. Musk was named the CEO of the newly minted PayPal. But it wouldn't last long: In October, he started a huge fight among the PayPal cofounders by pushing for them to move their servers from the free Unix operating system to Microsoft Windows. PayPal cofounder and then-CTO Max Levchin pushed back, hard.